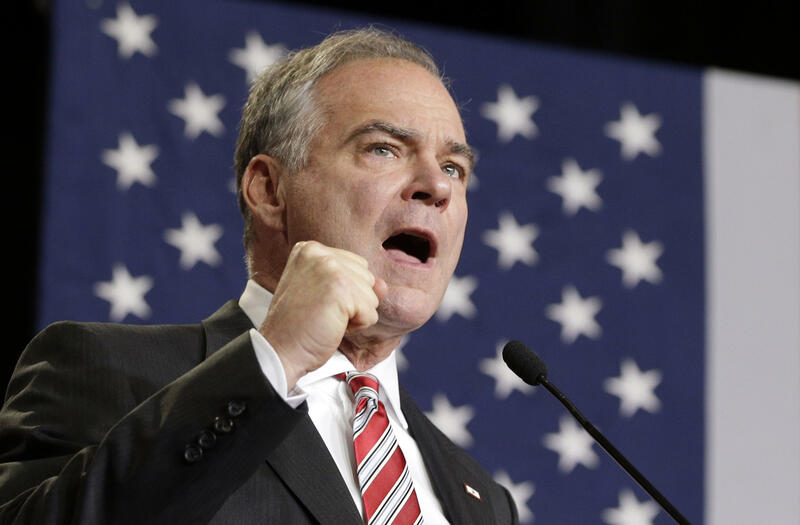 Tim Kaine says Trump has "authoritarian tendencies"
Former Democratic vice presidential candidate Tim Kaine said that President Donald Trump had “authoritarian tendencies” on Tuesday. Kaine made those comments to reporters right after the Senate voted to confirm Betsy DeVos as the next education secretary in a 51-50 vote with Vice President Mike Pence casting the tie breaking vote. During the 2016 presidential campaign, Kaine would often say that “Donald Trump as commander-in-chief scares me to death” and slam Trump for what the Virginia Senator described as his “bizarre fascination with strongmen and authoritarian leaders.” But his latest comments represent an escalation for the typically mild-mannered Senator. Some influential writers and pundits have warned about the rise of authoritarianism in the United States throughout the 2016 presidential campaign and Trump’s young presidency, but it’s an assertion that that few members of Congress have taken up until now. “He’s going after all the checks and balances. But checks and balances are there for a reason,” Kaine warned on Tuesday alluding to Trump’s attacks against the media, protesters, and several judges.